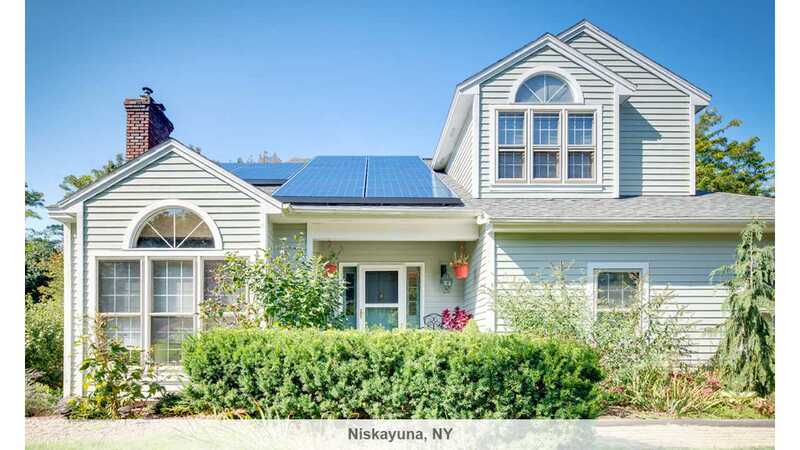 SolarCity announced that in the second quarter of this year it increased its number of customers by more than 30,000 - from more than 110,000 to 141,034. This is another record result, together with 107 MW deployed. Cumulative MW deployed by the end of June stands at 756 MW. 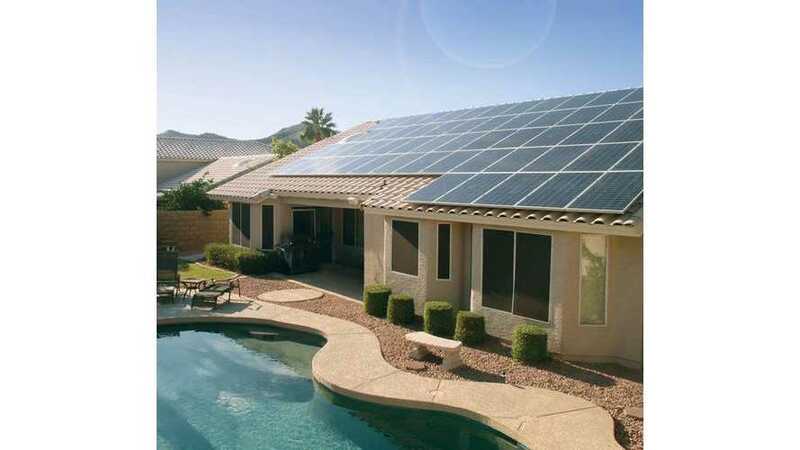 "In the second quarter of 2014, SolarCity continued to build out a stronger and broader platform to significantly expand the adoption of distributed, clean energy. We experienced unprecedented demand in the quarter with triple-digit year-over-year growth in all our key operating metrics. Our development efforts continued to gather momentum with 107 MW Deployed and 218 MW Booked in the quarter. We passed the 140,000-customer mark in June 2014—with more than 30,000 customers added in the second quarter alone—an increase of 218% over the year ago quarter." "Our expanding base of leased solar assets is expected to support a meaningful level of operating lease revenue for the next 20 years. We ended the second quarter of 2014 with cumulative MW Deployed of 756 MW and $3.3 billion of Estimated Nominal Contracted Payments Remaining. Our deployed solar power systems are now capable of producing over 1,000 GWh annually, and our aggregate portfolio produced more than 3.5 GWh per day several times before the end of the second quarter." The ultimate goal for SolarCity is to be the largest supplier of electricity in the United States. We believe that utilities will not be happy with that. 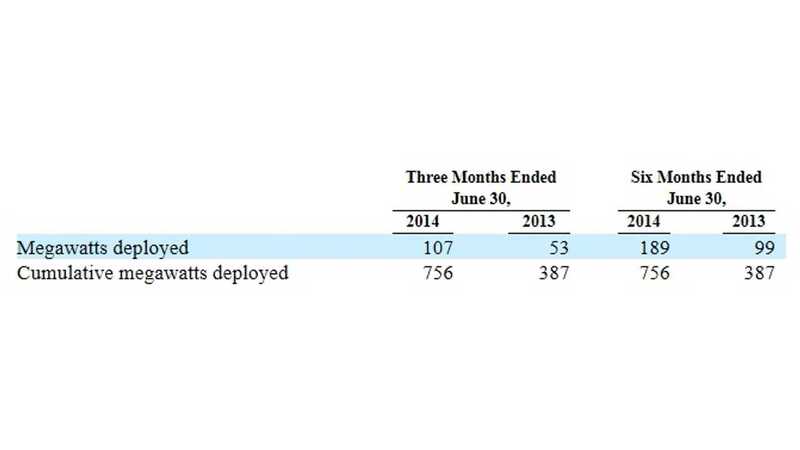 Interesting is that in Q2 SolarCity had almost an equal number of new customers as sales of plug-in cars (>32,500). For now, SolarCity is on track to reach 1 GW deployed this year and 2 GW deployed next year.